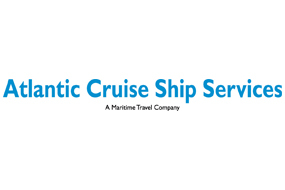 Atlantic Cruise Ship Services (ACSS), a leading shore excursion operator throughout Atlantic Canada, will promote shore excursions currently operated for cruise lines calling at the Port of Halifax. Excursions will include popular attractions around the Halifax area including Parks Canada’s Halifax Citadel National Historic Site, the Maritime Museum of the Atlantic, Peggy’s Cove, Old Town Lunenburg UNESCO World Heritage Site and Mahone Bay. ACSS provides innovative quality shore excursion experiences to cruise line guests for all major cruise lines throughout Atlantic Canada. In addition to Halifax the company has operations, in Sydney, Charlottetown, St. John’s, Corner Brook, St. Anthony and St. Pierre et Miquelon and expects to provide services to over 50,000 cruise line guests.